We sing of your steadfast love that never ceases - Praise the name of the Lord! We lift our hands to the God of all ages - Praise the name of the Lord! We will embrace each moment and worship with unfettered hearts. Praise the name of the Lord! Lita acknowledged the many different feelings and experiences that our week had brought and asked God to accept us each for what we are and what we can give today. Thomas Obadiah Chisolm (1866-1960) was a man whose fragile health made his life difficult; so this wonderful hymn is a lesson to each of us about accepting the great gifts for life that come through God’s great Love. His friend William Runyan, composed the music because he was greatly moved by the words and it was published in 1923. George Beverly Shea made this hymn speak to the hearts of many people through the Billy Graham evangelical crusades in the middle decades of the 20th century. Like me you might remember the crusades. Offering / Prayer: Nerida and Alan were our stewards this morning and when the offering was blessed Lita also offered a prayer to dedicate the Christmas Gift Boxes our church family has prepared to send overseas to bring joy to many poorer children and families. This little hymn, written by Edith McNeill, is also inspired by the same passage in Lamentations which inspired Thomas Chisolm in our first hymn. Joan read the Bible passages for us this morning in a compelling way - and on reflection and upon revisiting this whole chapter, it is an amazing tirade where the Lord speaks to Job about the magnificence and intricate dovetailing of God’s entire creation. I realize I have always worn blinkers when Job was mentioned because I thought everything about his story was all about complete misery. This was followed by the reading from Hebrews which begins; “For the word of God is alive and active… It sifts the purposes and thoughts of the heart” and finishes with the thought that Jesus was sent to be one of us and live and understand the temptations and difficulties of life on earth. He was tested in every way. Lita asked us if we have ever had such suffering that we, like Job, have felt that we had lost God. Yes we all know that life can be very hard and very complicated – and sometimes like Job we rant a little at God for deserting us. “In Christ, God is saying to us today – ‘do not be afraid, I’ve got you. I’ve got you in my strong arms. I’ve got you in my loving arms. I’ve got you in my saving arms.” AMEN. We continued in our reflective feelings by singing this greatly loved hymn, written by Joseph Medlicott Scriven, while remaining quietly seated in the pews. After several great tragedies, Joseph lived a life of sacrifice and devotion, giving away everything he could to those people in need and physically helping those who needed help - for the rest of his life. Before we share in the Prayers of Intercession it is our tradition to listen to a reflective organ interlude. 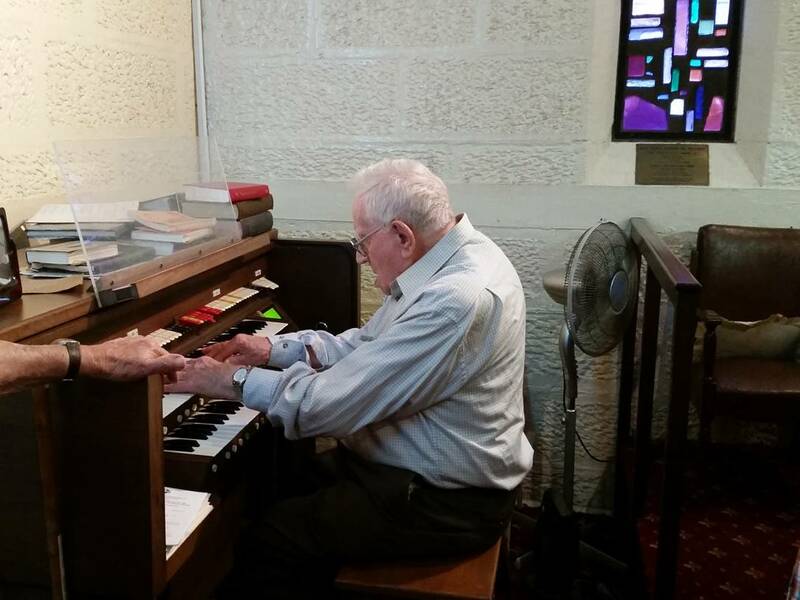 Today this was interlude was played, in celebration of a lifetime of Faith, by our old friend Tom, who will turn 100 during this week. Jack spoke a little about Tom and invited everyone to his 100th Birthday Party at morning tea after the service. Around 25 of Tom’s family members were with him and his ‘church family’ for the service today and some even travelled from his original homeland of Wales to join the celebration. 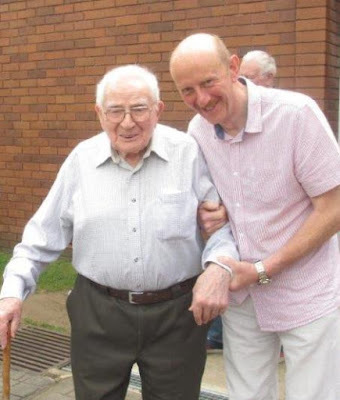 Knowing that our friend Betty who will soon be 101 was also with us in the service today – I certainly spent my time reflecting on the positive Christian influence these two fine centenarians have shared with us all. Prayers of the People: Today Lita presented these prayers for the people of our church and for the world. There were prayers for those people we know, and the people and situations throughout the world, whose needs touch our hearts. We were reassured that God knows each of them by name and will hear them when they call. Then we shared together in the words of the Lord’s Prayer. Blessing Lita sent us home with the words: “Spring up! Resolve to live confidently and with faith in the goodness of God. Throw off your cloak! Be ready to say yes when life offers you transformation. God bless you with refuge in time of need and joy in time of good fortune. Christ hear you when you cry and attend to you with compassion.” Amen. 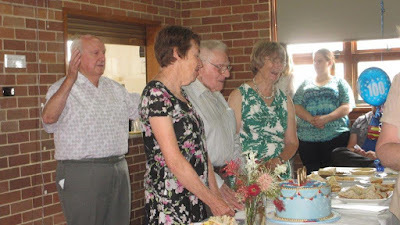 Sharing in the joy of Tom’s Birthday Party was a blessing to us all. Jack reminded us that Tom was born in the first year of World War 1 when times were hard. He had the misfortune to be seeking his first job at the time of the Great Depression and he has faced many challenges in his 100 years. Coming to live in Australia at the age of 70 would certainly have been a big upheaval in his life. What life lessons Tom can pass on about the importance of faith and hope and hard work! I just love his gentle smile, his happy chuckle and his friendliness to everyone - all the time. Reception of member by transfer. 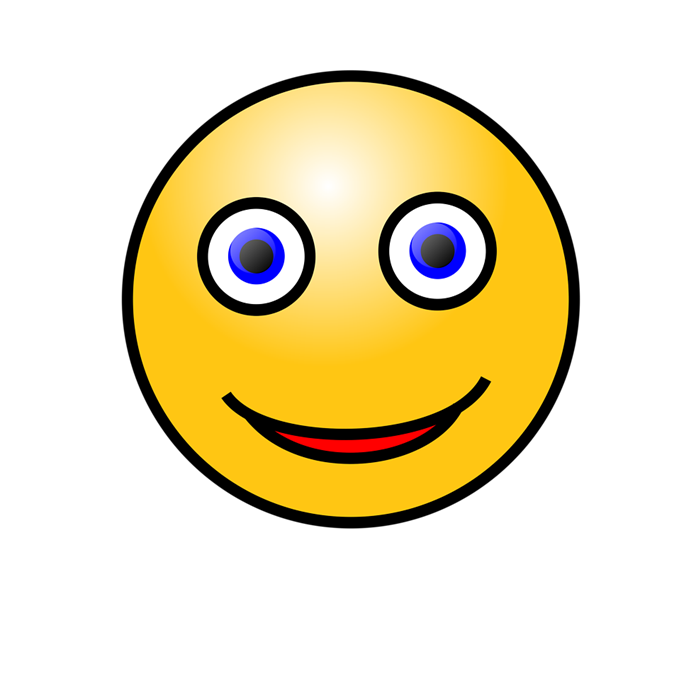 Apologies to all for the tardiness of the production of this blog and what I anticipate to be its briefness. The birth of a second grandchild early Tuesday morning meant much loss of sleep and very active days with the first grandchild, a two-year-old. She has just returned most unwillingly to her family home. Her preferred option would be that we all live together in the one house - Parents, GPs, Aunty and all. She and her new sister are the greatest treasures we have ever received and for which we are so grateful and thankful. The one whom Israel praise. They trusted you and you saved them. And so we give you our praise and worship. Hymn TIS 133 “O worship the king, all glorious above.” The hymns of this service were written around membership of the church, who as individuals and as a group, exist because we are enlivened by Him, the glorious one, who evokes our worship. Today, the person being received into membership was me, the writer of this blog. As such, the prayer of thanksgiving was richly applicable, thanking God for the life abundant that I have received by his generous hand. Jan thanked God for all he had done in Christ, whose sacrifice enabled people like me and you to know this life abundant, experiencing the full power of God's spirit and without which we are mere dust and ashes. "We worship you in songs and hymns of praise. To you be the glory, forever and ever." Amen. Prayer of Confession "Loving and redeeming God, in Christ you have shown us the paths of true discipleship. You have taught us the ways of your realm. Forgive us that we so often stray from those paths. Forgive us that we choose death over life, power over justice, wealth over service." Forgive us...correct us...move us...call us back to you. Amen. Words of Assurance "May the grace of God, shown in Jesus and made present through the Spirit, assure us that we are set free from sin to live in joy. Our sins are forgiven." In this service I was welcomed as a member of the Uniting Church and pledged my life to fellowship with our God and his people. I promised to share in the life and work of the church, which I did with much willingness. This is the place where I find my purpose and these are the people who extend their hands in friendship and support. Let us pray: "O God our loving parent, we praise you for calling us to faith in Jesus and for gathering us into the Church, the body of Christ. We thank you for this congregation of your people and rejoice that you have added to our number Margaret, our sister in the faith. Together may we live in the Spirit, building up one another in love, sharing in the life of the Church, and serving the world in God’s mission; for the sake of Jesus Christ our Lord." Amen. Hymn TIS 599 “Take my life and let it be, consecrated Lord to thee” in singing this hymn, we affirmed our promises of yesterday, last year, or so long ago, to be wholly God's. Offering Once more we offered back just a little of God's blessing to us to be used in the church's work of extending his kingdom of love to those around us. 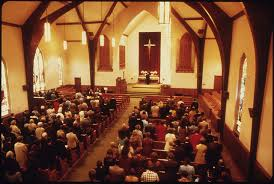 Sermon- “Call and cost of discipleship” Totally appropriate to the theme of membership of God's church. Jan spoke of the affect of the media on our thinking, leading many to believe that ownership of large numbers of the latest, trendy items is the way to achieve happiness and peace. She added that it is also difficult to discipline ourselves to a budget, to a diet of healthy food, to an active life. We like to indulge ourselves. My special indulgence in sleeping in...then I'm really unhappy with myself about all the time I have wasted. In terms of possessions bringing happiness I learned a good lesson early in life. Possessions get old, wear out, break. And then, if we are depending on possessions for our happiness...guess what....we have to buy new possessions again, and again, and again. That is obviously not a good path to follow. Jan spoke of a DVD called "Happy" by Roko Belic in which it was shown that the values of people are important to achieving happiness. Those who were concerned for others and acted in the best interests of others were far happier than those who lived for themselves, and the ephemeral things of life. Many people are always longing for that something that is missing in their lives. Jan explained that the missing thing is God and if anyone tries to replace God with other things they aren't satisfied...the longing continues. This is what happened to the Rich Young Ruler. God expected his all and the young man couldn't bring himself to give it and went away sad. And he would have continued to be sad. Hymn TIS 609 “May the mind of Christ my Saviour” We don't stand a chance on our own. The forces that operate in this world are too determined and too many for us to stand up to them by ourselves. Take a mate. That's a Mate with a capital M.
Musical interlude before prayer During this time we contemplated our private needs and concerns. After this time Jan led the Prayers of Intercession. Hymn TIS 233 “I will sing the wondrous story” Those of us who have experienced the joy of that abundant life can hardly stop ourselves doing so! Blessing The peace of God, which passeth all understanding, shall keep your hearts and minds in the knowledge and love of God. And may the grace of the Lord Jesus Christ, and the love of God, and the fellowship of the Holy Spirit be with you all. Blessing song TIS 778 “Shalom to you now” Shalom...I wish upon you every good thing that comes from the blessing of our God. Jan welcomed us all, calling our attention to the warm spring day and to the memory of St. Francis who preached to the animals and asked them to praise God. In wisdom you have made them all, the earth is full of your creatures. “All creatures of our God and King” v1,3,5,7. We sang with gusto, reflecting the thankfulness and awe we all have for all of God's creation that accompanies us and sustains us throughout our lives. I'm not strong on humility but thinking on the words of a hymn like this leaves me helpless to be anything but thankful and totally aware of my utter inability to deserve any of it. For the riches of the mountains, fields and rivers, for all creatures that breathe and move. How quick we are to blame when things go wrong, O Lord. Hear then Christ's word of Grace to us: our sins are forgiven. People spoke about pets who were present in body or in photographs, revealing the very special relationships we have with our companions and the benefits they bring to us. “Break thou the bread of life.” It is a simple hymn of just two verses but it focuses our whole attention on our reason for being present this morning. When we find Jesus, we are given a freedom that is difficult to explain and can't be gained by any other means. We are moved by the words, written by someone else, which express our deep need (but lack the words to say) to praise God for a gift beyond imagination. Receive this holy sacrament of the body and blood of Christ, and feed on him in your heart by faith with thanks with thanksgiving. Jan, Joan, Pat and Alan then distributed the elements. We thank you, Lord that you have fed us in this sacrament and united us with Christ. Jan brought to us: Psalm 104:10-24 ​​​in which the Psalmist speaks to God, in awe of the treasure of beautiful creation given to humans by Him. Matthew 6:25-33. Jesus makes it plain for anyone who has failed to notice, the way the world works. Worrying about tomorrow gets us nowhere. He points to the rest of creation, showing how God cares for it without any input from any of its members and then says that we will be cared for in just the same way. Jan began, speaking about the gospel reading, where Jesus was instructing not only his disciples, but anyone else who is within earshot about the danger of being too attached to possessions and how being concerned about our possessions "can get in the way of knowing God and serving him," Jesus was teaching those who were listening of the need to trust God. He pointed out the logic of our being more important to God than flowers and yet the flowers want for nothing. Jesus didn't just tell. This is how he lived his life...he provided us with the example to follow. Jan then suggested that these words could easily have been the ones that motivated St. Francis to live the life he followed. 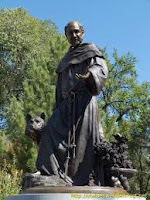 St. Francis was born into a life of privilege. His father had a textile business but St. Francis thought that boring and imagined himself living a more exciting and heroic lifestyle. So when war broke out he signed up. Being untrained, he was captured almost instantly. However his dress revealed him as being rich and worth a good random so he was thrown in solitary where he had visions. As a result, later, when he came upon a leper while riding, he embraced him experiencing a great freedom. From there he followed God, ministering to lepers, living a life of poverty, and preaching. 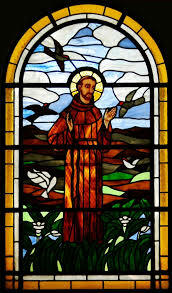 A special aspect of St. Francis' devotion to God was his devotion to a God's creatures, giving them protection where he could and even encouraging the plants to thrive. 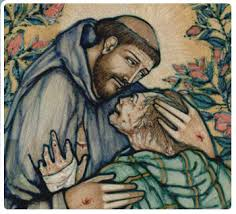 St Francis' focus was on service to God through service to his creatures, human and otherwise. Enough said. “All things bright and beautiful” An Australian adaptation of the hymn. We can look and not see. We are surrounded by God's gifts. Say "Thank you." Just a little of his generosity to us is returned for his blessing to be used in the extension of his kingdom. While we considered our lives, and our relationship with God. 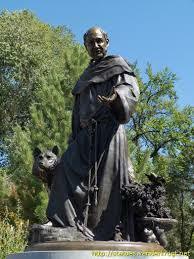 “Make me a channel of your peace” May we be like St. Francis, living for others. "The peace of God that passes all understanding, keep your hearts and minds in the knowledge and love of God. And the blessing of God Almighty, the Father, the Son, and the Holy Spirit be amongst you and remain with you always." Whose grace enfolds us all. Let all the world rejoice at the goodness of God. tough in many ways and we can easily forget the amazing gifts we have been given. Here, Jan acknowledged and gave praise for God's faithfulness and constancy, always ready to receive us and reach out to us in generosity. She thanked him for being ever with us, being our strength, our companion and our hope. For this we offered our worship. Despite God's utter faithfulness, we do not respond in kind and need to approach him in humility, confessing our selfishness and pride that often are a stumbling block to others. We have not followed God's commands as we should and for this we ask forgiveness. Instead of drawing others into the kingdom we push them away because they are not like us. For this terrible sin we asked forgiveness. We don't even notice we are doing it. View DVD ‘One night with the King' We watched a video of the story of how Esther came to save her people. This set us thinking. Esther's status was such that she could not approach the King without his prior invitation but she risked his wrath to be available for that invitation so that she could use her time with him to not save his life but also rescue her people from annihilation. How many risks for good do any of us ever take? Hymn TIS 754 “You are my hiding place’ Sometimes serving God and good can cause anxiety if not downright fear for our physical safety. But "whenever I am afraid I trust in you". If only that were the first sentence to come into my mind when I am faced with something frightening. Bible Readings- ​Chris read to us from Esther 4:12-17, 7:1-10, 9:20-22 and Mark 9:38-50. 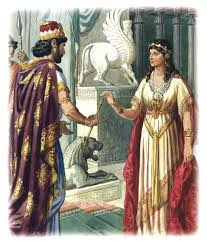 Mordecai warns his Jewish, adopted daughter Esther that being the queen will not save her when the Jews are attacked but it may be that her position will save them all if she is willing to approach the king, even though that is forbidden and therefore dangerous. ​Her courage comes with her request that she be supported in a fast, showing the devotion of the people to God. 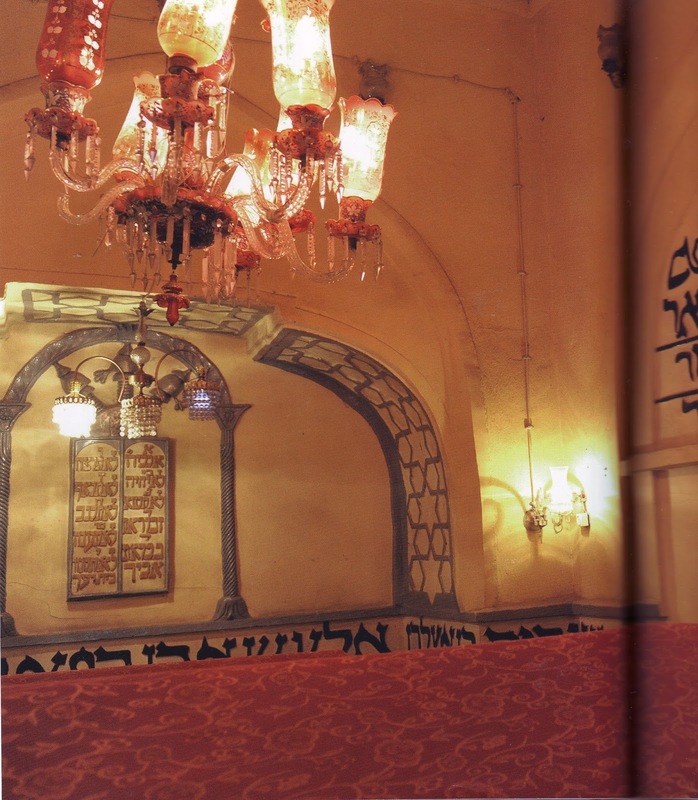 In the end Haman who was behind all the plotting was found out and punished by hanging. And the saving of the people has been celebrated ever since. Mark: The disciples were upset by someone who was not one of them working in Jesus' name. Jesus rebuked them saying that such a person was doing the right thing and went on to warn those listening about anything that would prevent themselves or someone else following him should be thrown away. Sometimes I think this device on which I am typing the blog is a stumbling block to me. At least it's the worst time waster I have but I need it for proper tasks. I think discipline is the word. there are three points I'd like to focus on today, firstly how Esther finds herself in a place of significant influence and opportunity, and God's providence. Secondly how she finds courage in her faith to trust God for guidance and a plan. And thirdly, how Esther risks her life to attempt to save her people from within the empire from genocide..we can see the power of prayer and fasting...when we need wisdom and..seek God's timing and guidance...When we are faced with unexpected circumstances...what can we do?...with God's help, we can often find the "way of escape". So don't underestimate the role you can play in working for God's Kingdom and for life in all its fullness. Amen! Hymn TIS 619 ‘Have faith in God my heart’ Regardless of circumstances, may our faith be in God. Offering All good gifts come from God. We give these gifts to express our love. We prayed for God's blessing in our gifts and ourselves. Musical interlude during which we could prayer privately about those deep concerns we all have. Prayers of Intercession Led by Jan we prayed to our loving and almighty God, asking for his Grace and wisdom, according to his will. We prayed for all those in any sort of need, especially those known to us personally. We prayed for our country's leaders that they will form policies to meet the needs of all people at all levels. We prayed for the oppressed, that they experience freedom and relief from their suffering. We asked for God's hand on those who are away from us travelling, that he will keep them safe. 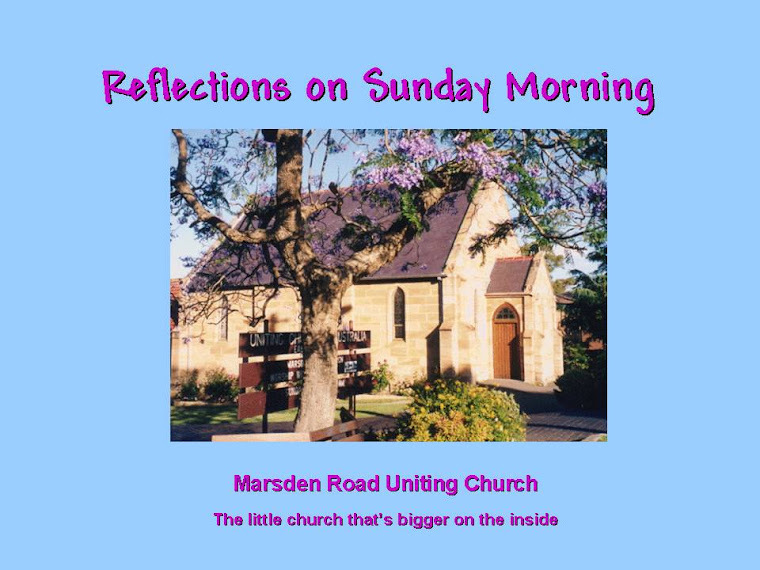 We asked for God's blessing on the Uniting Church in Australia, that we may show his love and grace to the world. We then joined together in The Lord's Prayer. Hymn TIS 626 ‘Lord of creation to you be all praise.’ My praise, my will, my mind, my heart, my all. Blessing May the Lord bless you and keep you. May the Lord lift up his countenance upon you and bring you peace. Amen.